Hi everyone! We’re in full summer mode over here at the Confessions household. And most of you who follow me on Instagram know that I’ve been quilting up a storm! Well, I have something exciting for you guys too! 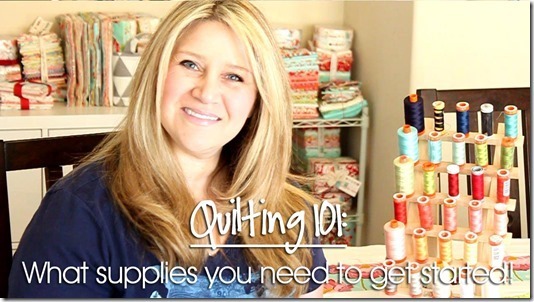 I’ve had a ton of questions on how to get started quilting, so I thought it would be super fun to do a video series on quilting. We’re going to cover everything from what supplies you need, how to pick a good machine, plus learn all about fabric. Then we’re going to start from the very beginning learning all of the basics you need to know to be able to make your own amazing quilts! I thought summer would be a great time to do that since we’re out of school and I hope you all enjoy it as well. I also have some great giveaways for each of my videos to help you guys get started gathering supplies and fabric too! So make sure to come back here after you watch the video and enter to win! So let’s get started with today’s video! 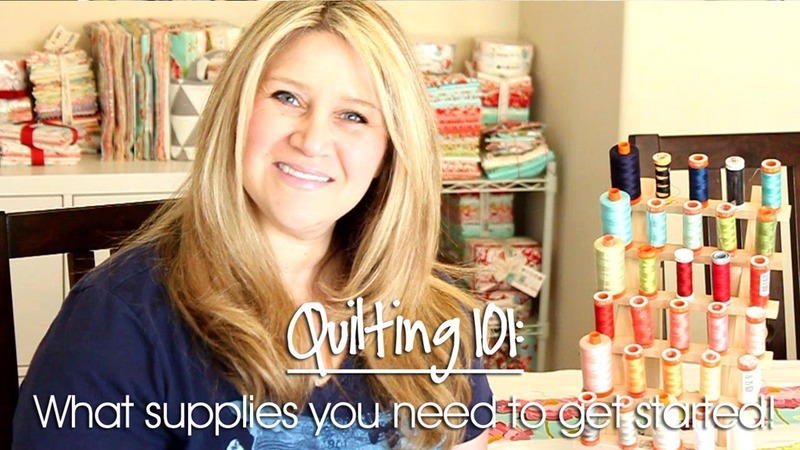 We’re going to start at the very beginning today and I’m going to show you all of the basic supplies you’ll need to get started quilting. I’ll also share a few of my favorite items as well and any tips and tricks I’ve learned along the way! Check out my How To Quilt: Recommended Supplies Part 1 here! I hope you enjoyed today’s video, and stick around for next week’s video where we’ll be talking about what features to look for in a sewing machine as well as some good beginner machine choices as well. Now for the fun part! Fat Quarter Shop has generously offered to sponsor today’s giveaway! 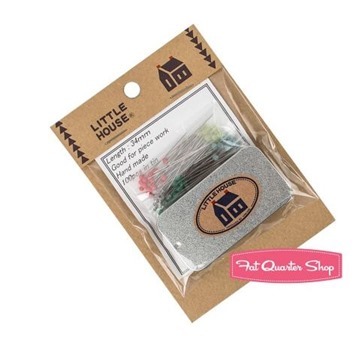 I have a set of my favorite Little House Pins plus magnetic tin for one of you today! Make sure to enter the raffle copter below to enter to win! Looking forward to this whole series! Thanks for sharing! Just getting started with quilting. Will be at the Odyssesy convention in Hershey. So, what is your favorite bundle to buy? I’m wondering what a good option would be for a first quilt? Does the pattern normally say that you can make it with 1/2 of a fat quarter bundle? I usually get either Fat Quarter bundles or Fat Eight bundles. Typically I will go off of what the pattern says, and yes, many will tell you which precuts go best with it. Moda also has a ton of patterns that are sorted by precut which is a nice option. Thank you for the videos, school and quilting related. Which pins did you say you use? Also, any recommended fabric markers?